The name Cron was originated from chronos, the greek word for time.It automates the scheduled process by executing it periodically in the background.You can set-up cron to run the tasks at scheduled timeline. You will have to set-up cron job manually.Following are the steps that describes cron job set-up on windows and Unix machines respectively. 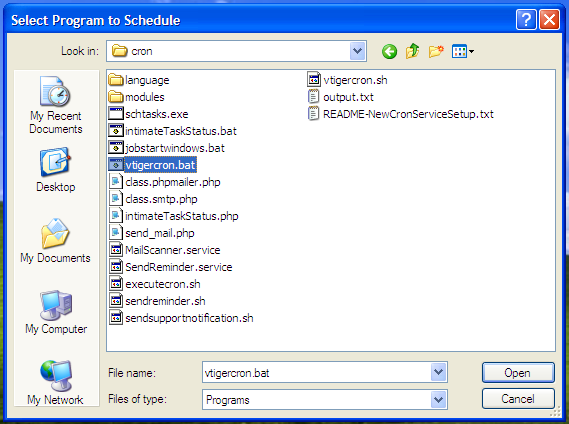 Before setting up the cron job make sure that you update the Source path of your vtiger CRM, and PHP location in vtigercron.bat file.The vtigercron.bat file can be found in vtiger CRM source location.Ex:C:\Program Files\vtigercrm-5.4.0\apache\htdocs\vtigerCRM\cron\vtigercron.bat. 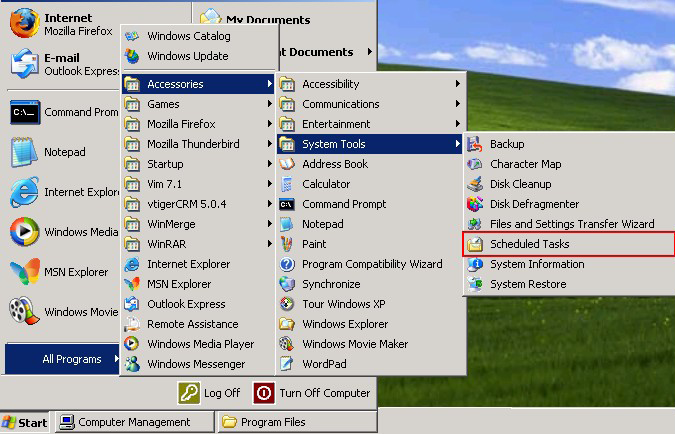 Go to All Programs > Accessories > System Tools > Scheduled Tasks. You will get a popup, click on Next button. 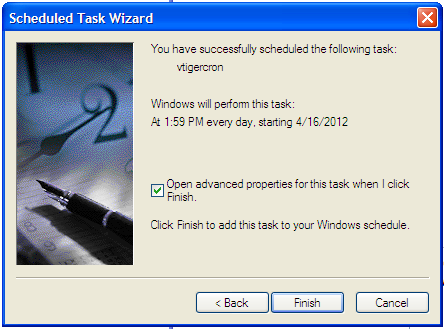 In Scheduled Task Wizard window, browse for the vtigercron.bat file in your vtiger source file. 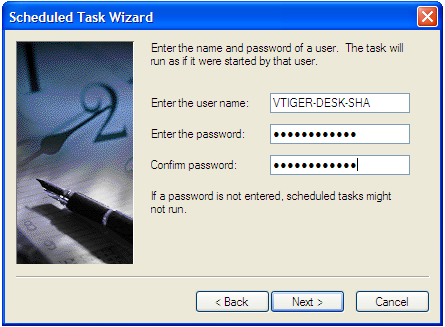 Rename the name of the task as per your requirement (preferably preceding with Vtiger for vtiger scheduled tasks) and set the frequency at which the task has to be called. Also set the time at which the scheduler needs to be called. In the next step, give proper Windows user credentials. Once you get confirmation window, click on Finish button. The time lined tasks will be listed out under Scheduled Tasks. If you have Vtiger bundled exe build installed on your server/system, all required tasks for Vtiger will already be added. 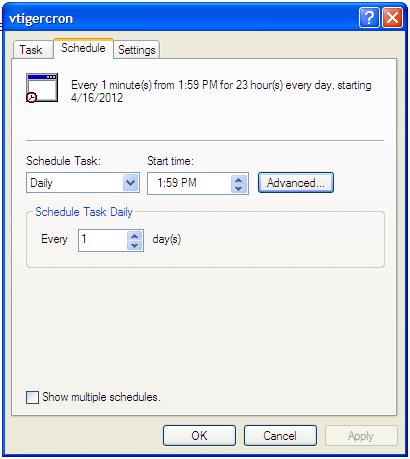 Check the configuration of the Scheduled task, if it is not working properly. Click on the task name to make changes in the scheduled task. Values for all these 5 fields are compulsory and should be numbers. If you do not want to specify value of any of these fields, you can use * to replace the number. Eg: 30 * * * * → Indicates that the cron job has to be run for every 30 minutes. Berapa sih yang harus Anda habiskan untuk CRM ? ERP dan CRM yang saling overlap..
Mengapa kita perlu Marketing target..